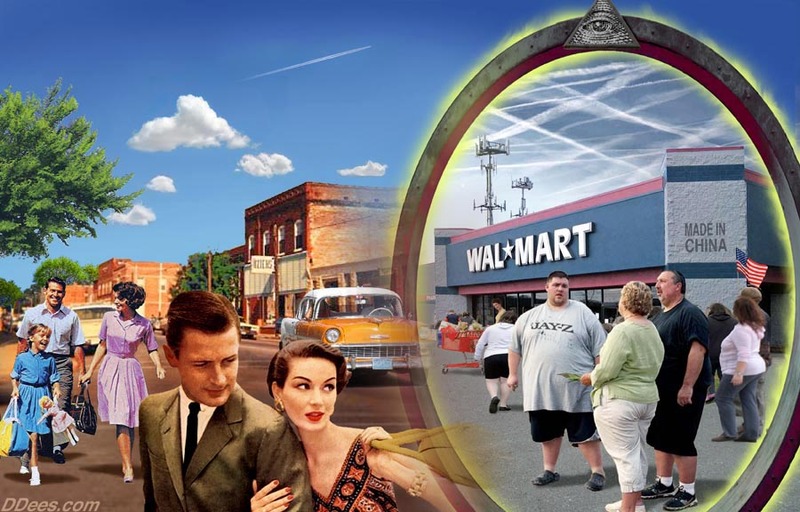 Art work courtesy of David Dees with permission. This paper seeks to identify a host of organic compounds that are likely to comprise the core physical structure of biologically produced filaments characteristic of the Morgellons condition. A biological oral filament sample will be analyzed for the presence of candidate organic functional groups using the methods of infrared spectrophotometry. Potential health impacts from these same core structures are examined and compared to the observed , reported and documented symptoms (in part) of this same condition. Potential mitigating strategies, from a research perspective only, are discussed. A body of evidence, accumulated over a period of several years, reveals that the Morgellons condition is likely characterized by a host of serious physiological and metabolic imbalances. These imbalances are caused by the disruption of a variety of major body processes including, as a minimum, the regulation of metabolism by the thyroid, potential liver enlargement, a decrease of oxygen in the circulatory system, the utilization of amino acids important to the body, the oxidation of iron and a potential impact to neural pathways. The impact of this degradation to human health can be concluded to be serious, debilitating and potentially lethal in the cumulative sense; the reports of those who suffer from the condition are in alignment with these conclusions. This paper will summarize the body of work and chronology which leads to this more comprehensive hypothesis. The health, medical and governmental communities will again be invited to offer their expertise and contributions, as well as to assume their role of responsibility and the obligations of their professions to serve the public. II. Potential health impacts of the various functional groups identified. The next sensible need is to tabulate the reported health impacts and symptoms alongside the functional groups so that we may begin the process of comparison, correlation and analysis between them. The lists are not necessarily exhaustive or complete or without error, but they should provide a useful beginning to the problems to be solved. Skin-borne filament production; skin manifestation at the more developed levels (the skin is an excretory organ). Oxygen deprivation; diminished oxygen carrying capacity of the blood. An increased level of acidity in the body (may be most easily assessed by urine pH testing). The impact of increased oxidation, greater free radical presence and their damaging effects upon the body. Liver toxicity, gall bladder and bile duct complications. Respiratory problems, including proclivities toward a chronic cough or walking pneumonia-like symptoms. The presence of a bacterial-like component (chlamydia-like) within or surrounding the red blood cells. The smoking population may exhibit an increased incidence of the condition due to additional oxygen inhibition within the blood. The list of health impacts and symptoms involved is derived from two sources: analytical and research work from this site29 and from the Morgellons Research Project30, which is under the direction of Carnicom Institute. Let us start to examine some of the health implications of these particular organic functional groups (and inorganic, as well) and how these may potentially relate to health impacts from the Morgellons condition that are frequently reported. This will never be as simple as a one-to-one correspondence – far from it. There are, however, some generalities to be made that may be very helpful in the interpretation of the plight that many find themselves within. “A substantial body of research has accumulated to make the case that the underlying organism (i.e., pathogen) of the so-called “Morgellons” condition, as identified by this researcher, is using the iron from human blood for its own growth and existence. It will also be shown that the bio-chemical state of the blood is being altered in the process. The implications of this thesis are severe as this alteration affects, amongst other things, the ability and capacity of the blood to bind to oxygen. Respiration is the source of energy for the body. 1. Iron in a highly oxidized state (Fe+3) is a core component of the biological filaments. 2. A primary source for iron within the human body is the blood (hemoglobin). 3. A primary nutrient source for the Morgellons growth form is this same iron from the human body. 4. Iron in this highly oxidized state can no longer bind to the oxygen in hemoglobin. For iron to bind to oxygen in the blood, it must be in the Fe+2 state. 5. The oxygen carrying capacity of blood is therefore reduced as this iron within the body has been converted to this more highly oxidized state. This same oxidation state of iron supports the growth of the organism. 6. Oxidizers cause oxidation. Some of the most important oxidizers in biology are the superoxide anion, peroxide and the hydroxyl radical. The cultures of the growth form have been demonstrated to flourish in the presence of oxidized iron (Fe+3), peroxide and the hydroxyl radical. 7. Oxidizers produce free radicals. Free radicals are highly reactive molecules that “wreak havoc within the living system”31. 8. The presence of highly oxidized iron within the organism leads to the conclusion that a greater number of free radicals are likely to exist within affected individuals. 9. Iron in the oxidized state is likely to bind to several toxic respiratory inhibitors, such as cyanide ion and carbon monoxide. 10. Oxygen deficiency is a condition known as methoglobinemia and this exists as a continued topic of research in association with the iron problem. 11. Oxidation requires energy. Energy used to support the growth of the organism is provided by the human host. 12. Any bacterial forms that infect the blood requires iron if it is to grow and reproduce. Bacterial or bacterial -like organisms have been identified as a core component of the filament growth forms by direct microscopic observations. 13. If the oxygen-carrying capacity of the blood is diminished, the capacity of the body to produce energy (ATP) is also diminished. Respiration is the process of imbibing energy into the body; diminishment of respiration affects all life processes. 14. A preliminary methemoglobinemia research project conducted on a series of individuals that claimed affliction with Morgellon’s symptoms does indicate the presence of more highly oxidized blood from a statistical viewpoint. 15. A review of the research literature does indicate that excessive oxidation is detrimental to health. A layman’s interpretation of oxidation is that of rust, or the visible wearing away of solid and metal compounds exposed to air. 16. Iron is a key element in the metabolism of almost all living organisms. In the review of this paper, another most interesting observation has been made. Notice that the image from the Research Collaboratory for Structural Bioinformatics shows below that a significant structural component of the heme (i.e., hemoglobin) molecule is the presence of a bound histidine group. Histidine is an amino acid, and it is therefore one of the core building blocks of both human blood and human biology. At the time of writing of Morgellons : A Thesis, no special attention was called to this matter. It deserves this attention now. Notice that one of the amino acids discovered in the more current research is exactly that same amino acid, histidine. In addition to the diversion of iron (an consequently the loss of oxygen) from the human blood to support the growth of the organism, it can reasonably be postulated that a similar diversion of this same amino acid chain, histidine in particular, is also taking place to support the growth of the organism. This hypothesis is further supported by the extreme damage to the red blood cells that has been directly observed and reported on in association with more severe cases of the condition. Hopefully the benefits of previous research coupled with the current work can be understood, at least to some degree, at this point. We are now in position to begin the correlation of the functional groups or identified constituents with stated health impacts or symptoms. In the case of iron alone, the consequences of iron deficiency (and/or of iron diversion, in this case) are many32. Referring to the subject of iron deficiency (in addition to the relationships to bacterial or bacterial-like growth within the blood) from various references, the following table of likely or probable health impacts or associations can be made with relative ease at this point. The charts below are not intended to be exhaustive of all possible associations; they are, however, intended to be representative of many of the relationships in existence resulting from the Morgellons condition. Any bacterial forms that infect the blood requires iron if it is to grow and reproduce. An increased level of acidity in the body. (Fe+3 is more acidic than Fe+2). What we learn from the chart above is rather profound. This is that the existence of the iron problem alone, especially in combination with the bacterial or bacterial-like component that has also repeatedly been identified, goes a very long way in accounting for a large portion of the observed or reported health impacts from the Morgellons condition. This paper, therefore, reveals the importance of the investigative research that precedes this most current work. As we can see, there is much that can be learned from those earlier investigative studies. We shall continue the approach of correlating the constituents identified with their expected health impacts. Information related to the deficiency of amino acids is also readily available, such as in the Amino Acid Chart by Dr. Guy Wilson34. It becomes increasingly obvious, even at this early stage of presentation of identified constituents and functional groups, that the disturbances of the iron and amino acid balances within the body are at the very heart and essence of the symptoms and health impacts of the Morgellons condition. It is now time to begin the examination of the functional groups from the same perspective, i.e., the comparison of the expected effects from a functional group with the actual reported health impacts of the Morgellons condition. An especially important functional group to begin this discussion with is the aromatics. The general properties of aromatics has been discussed earlier in this report; let us now apply ourselves more directly to the problems at hand. 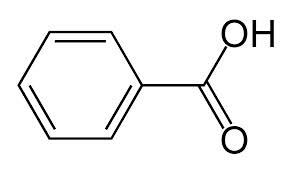 Benzene by itself is a toxic molecule; it leads to bone marrow depression and a lowered white blood cell count35. There is , however, no pretext here that the affected Morgellons sufferer is somehow directly being subjected to benzene. Organic chemistry is far more interesting and complex than this type of naiveté. One of the fascinating aspects of chemistry is that a simple and small change in a molecular structure can completely change its properties. It is this “change” that we are seeking to learn of here, and IR spectroscopy will give us some of the parts that we must work together with. As another example of aromatic variation, some of the very amino acids that we depend upon for our existence contain aromatic rings within them; surely we can understand that such a compound is not toxic to us. Our very livelihood depends upon them, so obviously whether something is aromatic or not is not the whole story. We will find, therefore, that it is the combinations of and the variations of the functional groups that are the main key to understanding the expected reactions, chemical and subsequent health impacts. Let us back up again, to the benzene ring structure (i.e., the foundation of aromatics) without any assumptions and then move forward. We recall that one of the dominant characteristics of the benzene ring is its stability; this property is one of the defining reasons for the discovery and investigation of the aromatic class itself. 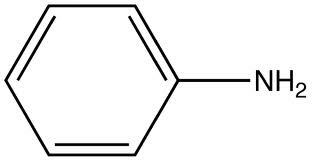 Benzene did not chemically react in the ways that were originally expected. We can also recall from the earlier discussion that electrophilic substitution is one of the most common reactions that occurs within aromatics. It is time now to look at what are some of the substitutions that can take place. One of the most common forms of substitution that takes place is that of halogenation. The halogens are the most reactive elements in existence and they are not prone to exist in their pure and free state in nature. They are too reactive for this to take place. Many of us are familiar with the halogens as we hear of them spoken, such as fluorine, chlorine, bromine and iodine. We also have a sense of major health concerns and toxicities that are known to exist, for example, such as the deadly hazards of a chlorine chemical spill. 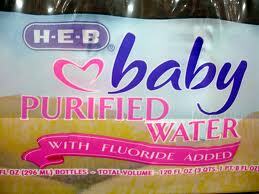 The controversies of fluoridation in water supplies are also know to many of us. Iodine is an especially interesting case, as many of us also know that our bodies require small amounts of iodine and that it is somehow important to our metabolism with the thyroid. From an evolutionary perspective, it is of more than passing interest that many marine creatures and marine plant life regularly process iodine as a part of their existence. In essence, the human body has evolved to incorporate small but important levels of iodine into the body, but the remaining halogens are in general, very hazardous and harmful to our health. Within the halogens themselves, there is an order of reactivity, with fluorine being the most reactive and iodine being the least reactive. Now, we have also emphasized that benzene, or the aromatic ring, is especially stable and is not particularly reactive in a stand alone fashion. And so, the interesting question is, how would we get the aromatic ring and the halogens to react with one another? The answer is with a catalyst. The actions of catalysts are a fascinating and wondrous aspect of chemistry in their own right, and they have also been discussed elsewhere on this site. Catalysts, by definition, lower the “threshold energy” that allows a chemical reaction to take place. The analogy that can be given is to be able to walk through a tunnel through a mountain versus having to climb over its top. It is an absolutely fascinating branch of chemistry. What might be sources for halogens to be in the body? 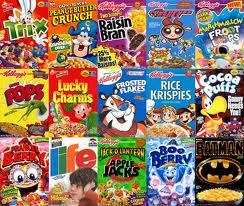 We can see now that there is no shortage of the halogens within our environment and within many diets. We must also allow for the possibility of more direct sources of halogens within the biological samples of study, let alone those introduced through environment or diet. In the presence of aromatic structures and a suitable catalyst, it is expected that aromatic halogen compounds will form. The health impacts of aromatic halogens and additional catalysts are now to be discussed further. First, we continue with the issue of available catalysts for the halogenation of aromatics, and the situation is even more interesting than has already been presented. We have discussed that iron can act as a catalyst for halogenation, but there is another source for us to consider. 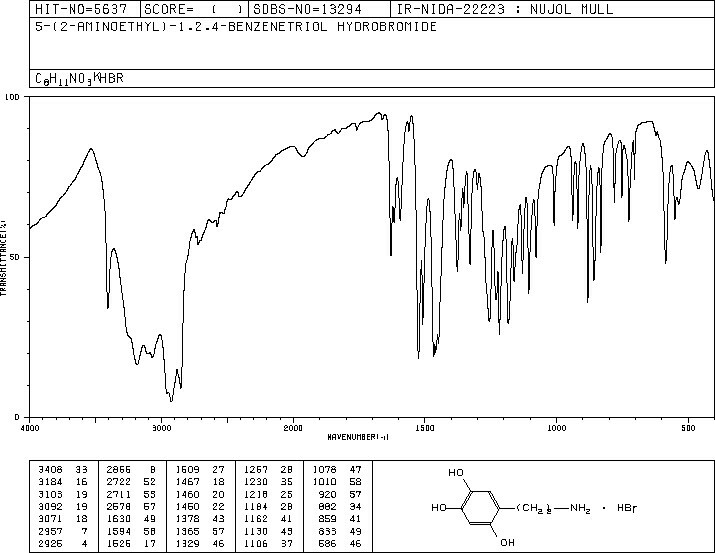 Notice the presence of the amine functional group (NH2) in the spectroscopic analysis; this is likely be another especially important catalyst in the halogenation of an aromatic structure. 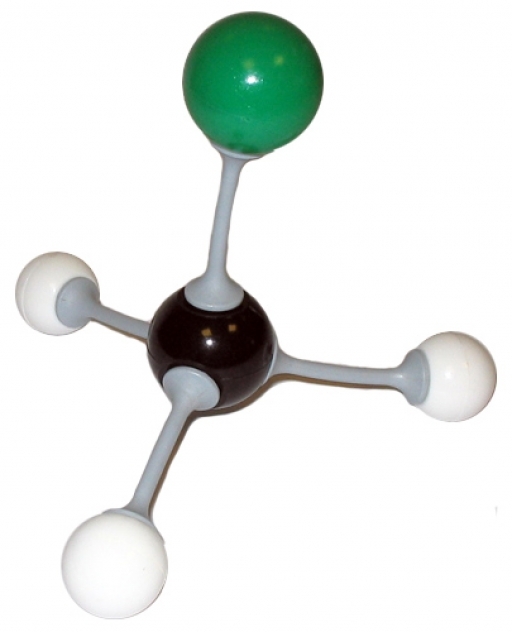 We know that benzene is toxic, but we have already discussed that we must look at each case individually since certain amino acids themselves have an aromatic ring attached to them. This is why the functional groups are so important; it is the combination of functional groups that we must study in an effort to understand their likely influences upon health as well as the chemical reactions that are likely to take place. So, in the case here, what happens when we attach the amine group to a benzene ring (aniline) with respect to human health? The following two effects are listed as primary effects upon human health by the Agency for Toxic Substances and Disease Registry, U.S. Department of Health and Human Services, Centers for Disease Control37. It is difficult at this point to avoid the significant correspondence between the health effects of aniline (i.e., a fundamental aromatic amine) as they are stated by the U.S. Department of Health and Human Services and the health impacts as they are now recognized by this researcher to be primary characteristics of the Morgellons condition. Now we turn to increasing our complexity of consideration by bringing the halogens into the picture. We do this because we now have a basis for the likely, if not very real, possibility of halogens joining into the aromatic amine structure. We know this because of the catalytic nature of the amine group as it is attached to the ring. We also know the presence of halogens in our environment and the diets of many is now easy to justify. It is now time to begin talking about the thyroid and its importance to human health. We must also, by direct observation and research, relate this knowledge to that of the Morgellons condition. To start, iodine is a halogen. The body needs iodine, and we have adapted and evolved to use this halogen in a very important way for our thyroid. The thyroid is the master regulator of metabolism for the human body; in many ways it can be considered to be at the crux of any health problems that we study. If the thyroid is off, the whole system is off to begin with. We go nowhere in solving our problems if the thyroid has been interrupted in any significant way. One of the places to look for a problem in the thyroid is the replacement of iodine in the thyroid by that of another halogen. Our bodies can use iodine (the only “normal” halogen in our body) but the other halogens in our body are destined to cause rather serious harm to havoc. 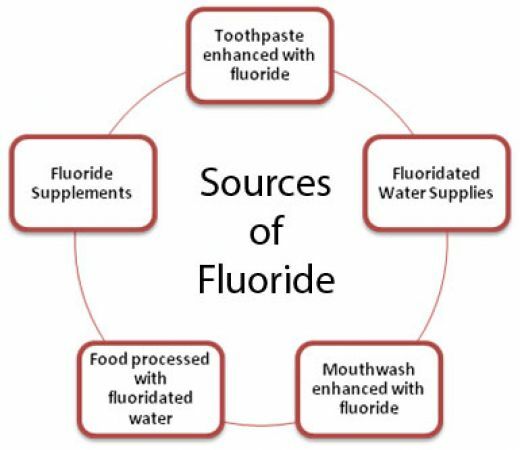 Fluorine, chlorine and bromine are toxic to us. Let us talk a little more about the thyroid, iodine, and a certain hormone called thyroxine as well as the amino acid, tyrosine. On the left side of the table above, an amino acid used by the human body, tyrosine, is shown. It is a constituent of many proteins. It can be seen that this amino acid has an aromatic side chain in its structure. Tyrosine is metabolized in the body directly to dopamine, a neurotransmitter, through an enzymatic pathway. Dopamine has been discussed earlier in this report, and it shall be discussed again at a later time. We may recall the structure of dopamine which has the functional hydroxyl group attached to the aromatic ring as well as the amine group. 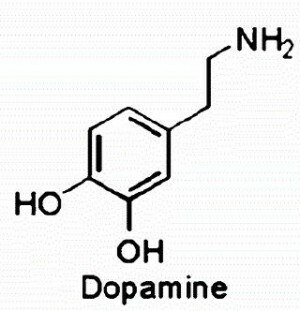 Dopamine is involved in motor functions, mood, attention and learning as well as other important psychological aspects. Our interest at the current time, however, remains with the thyroid. Tyrosine is a precursor, i.e., an essential ingredient to, the formation of thyroxine, a thyroid hormone. Inspection will also show the strong similarity of chemical form between tyrosine and thyroxine, with the important addition of iodine (a halogen) that can be noticed in the previous table. Thyroxine forms by combining the amino acid tryosine with iodine. Thyroxine stimulates the production of oxygen in the body. Thyroxine is directly related to carbohydrate metabolism, protein synthesis and breakdown. Thyroxine stimulates the utilization of energy. Thyroxine directly affects the basal metabolic rate. Thyroxine stimulates the cells of the nervous system. 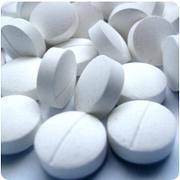 Thyroxine is used to maintain the state of the cardiovascular system. Thyroxine stimulates the breakdown of fats. Thyroxine stimulates normal growth and development. Thyroxine stimulates the muscles to break down proteins. The thyroid is, therefore, a master regulator of metabolism for the body and any interference in that functioning is inevitably and seriously detrimental to human health. Such interference can be easily produced with the substitution of the toxic halogens on the aromatic ring in place of iodine. Given the chain of reactivity on the halogens (bromine, for example, is more reactive than iodine) and the strong evidence for the existence of an aromatic amine within the filament structure and the ready availability of the toxic halogens in both environment and diet (if not induced directly), the existence of this “interference” should come as no surprise to us. Notice the addition of iodine ( a halogen) to the molecular structure. The structures shown below give us an example of what this interference can look like. On the left side of the table, we see tyrosine once again. Recall that tyrosine is a precursor to thyroxine, and that the functioning of the thyroid (i.e., metabolism in general) is dependent upon the proper existence and amounts of thyroxine within the thyroid gland. On the right side we see an example of the original amino acid (tyrosine) but now modified with the addition of a halogen (bromine) onto the aromatic ring. As long as the halogens are in existence with the catalytic amine present (let alone iron), this type of substitution reaction is one of the most common that can be expected to occur. It is difficult to not see it as being inevitable at this point. Bromine, in particular, is one of the strongest candidates for reaction, although fluorine and chlorine are not be eliminated as well, depending upon the ultimate combinations involved. This type of structure, a halogenated aromatic amine, will offer direct competition to the successful production of thyroxine for the thyroid. If this interference does take place, we can expect such interference in the functioning of the thyroid to develop within the “Morgellons” condition. All of the research and observational evidence at this point indicates that this is exactly the case. The simplest expression of this dilemma is with the chronic and widespread evidence and report of chronic low body temperature amongst the general population. As such, we are now dealing with an additional issue that may truly be at the heart of the matter, in addition to that which is presented above with respect to iron, amino acids, and aromatic amines. An appalling and dreadful combination of factors is becoming overwhelmingly evident to us, and it is one that is inevitably to be confronted. Specifically, in reference to this particular candidate structure of di-bromo tyrosine shown above, we find the following. Furthermore, an “antithyroid” is defined as: A hormone antagonist that acts upon thyroid hormones. This compound acts as a means to inhibit the metabolism of the individual and it is applied medically to cases of strokes, seizures and over-active thyroids (hyperthyroidism). 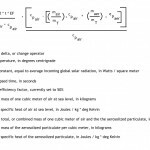 We see, therefore, that these types of compounds, (i.e. aromatic amines, halogenated aromatic amines) are at the high end of our candidate list of research observations that are correlated with expected health impacts. It should be clear to all that interference with the thyroid and basic metabolism of the human body will at the core of disease and ill health. Unfortunately, we are not yet done with the discovery process. We continue by addressing two other groups identified, that being the carboxylic acids and the phenols. Carboxylic acids are one of the most important biological acids. They are most acidic of the common functional groups. Carboxylic acids are the largest group of organic acids. As more electronegative atoms in the acid increases, the strength of the acid increases. For example, if the hydrogen atoms in the acid (acetic acid, for example) are replaced with fluorine (a halogen) to produce trifluoroacetic acid, the increase in acidity is quite large. 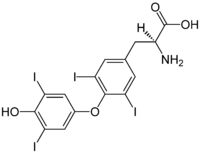 Some common examples of carboxylic acids are acetic acid, oxalic acid and formic acid. Carboxylic acids are amongst the most useful building blocks for synthesizing other molecules, both naturally and in the laboratory. One definition of an acid is that of an “electron acceptor” (Lewis acid). Another way of saying this is that an acid is more electron deficient than an alkaline, or basic, compound. It seems quite fair to regard electron flow within the body as essentially the flow of energy within the body as well. Organic chemistry itself is primarily the study of electron exchanges between molecules. An acid, therefore, seeks to draw electrons (i.e., a form of energy) towards it and, in a lay phrase, “steal” this energy. Another term for an electron acceptor (“stealer?”) is that of an oxidizer, or an oxidizing agent. Oxidizers cause oxidation, which is a significant topic within the current research (e.g., iron, blood). Common examples of oxidizing agents are oxygen gas (O2), the halogens, peroxides and the like. The body itself has carboxylic acid groups within it, as it does essentially all functional groups, as they are the basis of organic chemistry. The issue is that our primary concern here is what we are studying within the biological filament sample and what it is that supports and comprises the growth of that structure. This is a significant difference, as it takes energy and molecules from the body to support its own existence. We know from previous research that amino acids comprise a part of this structure, and since amino acids are in part composed of carboxylic acids, this is an example of the displacement of nutrients from the body into the parasitic growth form of Morgellons. We also note that modifications of the carboxylic acid by other groups, such as other electron-seeking groups, will make the compound even more acidic. This is the example of the halogen case given above(e.g., trifluoroacetic acid), as halogens are the strongest electron-seeking groups available. The primary question from this section concerns the prospect of excessive acidity and its impact to the body – what would this be if it were to exist? Excess body acidity is thought to be the first step towards premature aging, the interference with eyesight and memory, the beginning stages of wrinkling, age spots, dysfunctioning hormone systems, and a host of age related phenomena. Medical studies are confirming that body acidity is implicated in almost all diseases. As we age we become more acidic. The body of most aged individuals is very acidic, loaded with toxic wastes in the blood stream, cells and lymphatic system. These acidic wastes come from many sources. If you were to keep your skin, muscles, organs and glands alkaline like they were when you were a baby, you would dramatically slow down the aging process. Feeling weak, tired and having low energy. Experiencing agitation, anxiety, panic attacks and depression. Having skin problems like eczema, psoriasis, acne and hives. Suffering generalized aches and pain. Experiencing diarrhea, constipation or bloating. Suffering from cramping before or during periods. Suffering from loss of libido. Arthritis, joint and ligament problems. Kidney stones, kidney diseases and gout. Excess acidity is a condition that weakens all body systems. Excess acidity forces the body to borrow minerals including calcium, sodium, potassium and magnesium from vital organs, bones and teeth to buffer (neutralize) the acid and safely remove it from the body. As a result, the body can suffer severe and prolonged corrosion due to high acidity a condition that may go undetected for years. Acidosis leads to serious problems with major organs such as the liver, heart or kidneys. In this article, we will be looking into some of the reasons as to why we should avoid acidosis. It can lead to weight gain and diabetes. An acidic pH may result in weight problems such as diabetes and obesity. When our body is too acidic, we suffer from a condition known as Insulin Sensitivity. 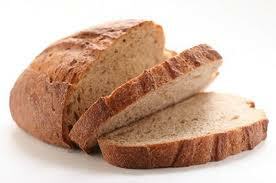 This forces excessive insulin to be produced. As a result, the body is flooded with so much insulin that it diligently converts every calorie into fat. It is very likely that an acid pH, from an imbalanced diet, produces a condition, which stimulates the predetermined genetic response to starvation and famine. Thereafter, the body will have to increasingly hoard every calorie consumed and store it as fat. Some people reckon that an acid pH immediately signals the powerful genetic response to an impending famine, directly interpreting with the all important and very sensitive Insulin-Glucagon Axis. 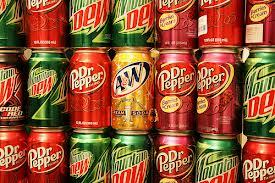 When this happens, it makes the body produce more insulin than usual, and in turn, produce more fats and store it. On the other hand, a healthy and slightly alkaline pH will yield normal fat burning metabolic activities, making no demands on the body to produce extra insulin and make fats. As such, this allows fat to be burned and naturally lost. 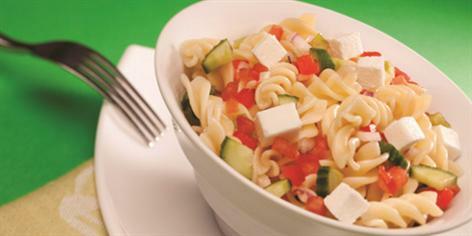 A healthy pH diet is also less likely to have any yo-yo effects, or rebounding from a diet with additional weight gain. We should try to maintain a healthy slightly alkaline pH so as to allow fats to be burnt normally for energy, rather than hoarded and stored under the mistaken biochemical belief of an impending famine. Acidosis also disrupts the insulin producing pancreatic beta cells. These beta cells are especially sensitive to pH and cannot survive if the body is too acidic. When this occurs, beta cells will lose phase with one another. 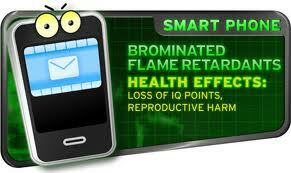 Their cellular communication will be thwarted and the body’s immune system will start to over-respond. Stress within the cells will increase, making them more difficult to perform adequately and survive. 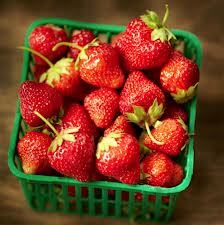 It accelerates free-radical damage and premature aging. Acidosis leads to partial lipid breakdown and destructive oxidative cascades accelerating free radical damage of cell walls and intracellular membrane structures. In this process, many healthy cells are destroyed. Acidosis is the first step towards premature aging and accelerated oxidative cascades of cell wall destruction. Signs of acidosis may include wrinkling, age spots, failing hormonal systems, interfering with eyesight, memory, and a host of other age-related phenomena. Unwanted wastes not properly eliminated from the body actually poison the cells. It disrupts lipid and fatty acid metabolism. Acidosis generally disrupts lipid and fatty acid, which are involved in nerve and brain function. This disruption causes neurological problems such as MS, MD as well as problems with hormonal balance within the endocrine system. An acidic environment also causes LDL-cholesterol to be laid down at an accelerated rate in the heart, inappropriately lining and clogging up the vascular network. In other words, an acid pH initiates electrostatic potential, damaging arterial walls, which in turn initiates a PDGF-dependent immune response, causing cholesterol oxidation and the formation of plaque with heavy metals. It corrodes arteries, veins, and heart tissues. Like acid eating into marble; acidosis erodes and eats into cell wall membranes of the heart, arteries and veins. During this process of erosion, our heart structures and inter connective tissues are weakened. All living tissues are sensitive to their chemical environment. The muscle cells of the heart are no different. The entire cardiovascular system is directly affected by blood plasma pH and works as one large working “system of tubular muscles” to carry blood and nutrients to all living tissue in the body. The pumping of the heart drives blood through the arteries, veins and capillary beds and helps to regulate blood pressure and the flow of blood circulation. The heart is normal when the pH of blood plasma is slightly alkaline, having a pH of 7.35 to 7.41. When the heart plasma rises to an acidic pH of more than 7.35, it gradually erodes away the smooth muscle tissues of the inner walls of the arteries and veins, as well as the heart itself. This process will start to weaken the structural composition of the heart, arterial and venous walls, causing lesions and microscopic tearing throughout its framework. At the same time, an acid pH destabilizes free ionic balances within circulation, increasing the populations of positively charges particles (cations, an ion with a positive charge of electricity: H, Ca) which directly interfere with the muscle contractility (contraction and relaxation) of the heart and arteries. Development of arteriosclerosis (hardening of the arteries). Aneurysm (widening and ballooning of artery walls). Arrhythmias (abnormal rhythms of the heart including tachycardia). The structural weakening of the cardiovascularity also creates irregularities of blood pressure, which further exacerbates the above problems. It alters the energy metabolism and reserves. When your body has an acidic pH, it will prevent efficient cellular and body metabolism. Acidosis results in chemical ionic disturbances, interfering with cellular communications and functions. Acidosis reduces plus calcium binding of plasma proteins, therefore reducing the effectiveness of this intracellular signal. It also results in a disease of calcium cations (positive calcium) entry through positive calcium channels. This leads to a reduction of cardiac contractibility, or the ability of the heart to pump efficiently and rhythmically. Positive calcium and hydrogen regulate the activities of intracellular proteins and are driven out of the cells by the “Sodium-Potassium pump” (Na-K pump). This pump provides a strong incentive for sodium to be driven into cells. It also regulates the amount of both sodium and potassium in the body stores, and uses as much as 25 percent of our caloric input daily. Positive calcium exchanges the plus sodium, being forced out of cells, but naturally, the electrochemical gradient for positive calcium favors both positive hydrogen and positive calcium entry into cells, as there is less calcium and positive hydrogen in cells than in the extra-cellular fluids. In extra-cellular fluids, there is 10 times more the amount of positive sodium. In acidic solutions, less plus sodium is available, therefore slowing down the processing and induction of nutritional items going into the cells. This increases positive hydrogen and calcium buildup within the plasma, making it more available to electro-statically bind with LDL-Cholesterol. As a result, with free positive calcium populations and channels being disrupted, calcium may become inordinately leached from the bone masses. This causes osteoporosis. In a nutshell, an acidic pH drains us of energy and disallows stored energy reserves to be used. It slows the delivery of oxygen into the cell. Acidosis reduces oxygen in the blood. As all living tissues, especially the heart and brain need oxygen to function; a lack of it will lead to eventual death. Having an acidic pH will reduce the amount of oxygen that is delivered to the cells. They will eventually die. It is important to note that the body’s biochemistry is an important but just one of many tools to help the physician understand the whole body. A pH result on its own is not a diagnostic tool and is not a medical diagnosis of any disease. What then happens when the body is too acidic? Decrease the body’s ability to absorb minerals and other nutrients. Decrease energy production in the cells. Decrease the body’s ability to repair damaged cells. Decrease the body’s ability to detoxify heavy metals. Enables tumor cells to thrive. Make the body more susceptible to fatigue and illness. Some people who have high acidity levels tend to exhibit these symptoms such as: anxiety, diarrhea, dilated pupils, extroverted behavior, fatigue in early morning, headaches, hyperactivity, hyper sexuality, insomnia, nervousness, rapid heartbeat, restless legs, shortness of breath, strong appetite, high blood pressure, warm dry hands and feet. Most of the time, the body becomes acidic due to a diet rich in acids, emotional stress, toxic overload, and/or immune reactions or any process that deprives the cells of oxygen and other nutrients. When this happens, the body will try to compensate for acidic pH by using alkaline minerals such as calcium. As a result, calcium is removed from the bones, causing osteoporosis. Acidosis, which is an extended time in the acid pH state, can result in rheumatoid arthritis, diabetes, lupus, tuberculosis, osteoporosis, high blood pressure and most cancers. Two main factors leading to cancer are an acidic pH and a lack of oxygen. As such, are we able to manipulate these two factors so as to prevent and control cancer? Everyone knows that cancer needs an acidic and low oxygen environment to survive and flourish. Research has proven that terminal cancer patients have an acidity level of 1,000 times more than normal healthy people. The vast majority of terminal cancer patients have a very acidic pH. (About The Author Michael Lam, M.D., M.P.H., A.B.A.A.M. is a specialist in Preventive and Anti-Aging Medicine. He is currently the Director of Medical Education at the Academy of Anti-Aging Research, U.S.A. He received his Bachelor of Science degree from Oregon State University, and his Doctor of Medicine degree from Loma Linda University School of Medicine, California. He also holds a Masters of Public Health degree and is Board Certification in Anti-aging Medicine by the American Board of Anti-Aging Medicine. Dr. Lam pioneered the formulation of the three clinical phases of aging as well as the concept of diagnosis and treatment of sub-clinical age related degenerative diseases to deter the aging process. Dr. Lam has been published extensively in this field. It presently becomes difficult to rank the impact of a ill-functioning thyroid against excessive acidity in the body (or the other described potential impacts, for that matter), it is impossible to choose the lesser of two when there are two heinous influences to begin with. But we must begin somewhere, and so we have by confronting the extent of the problem. 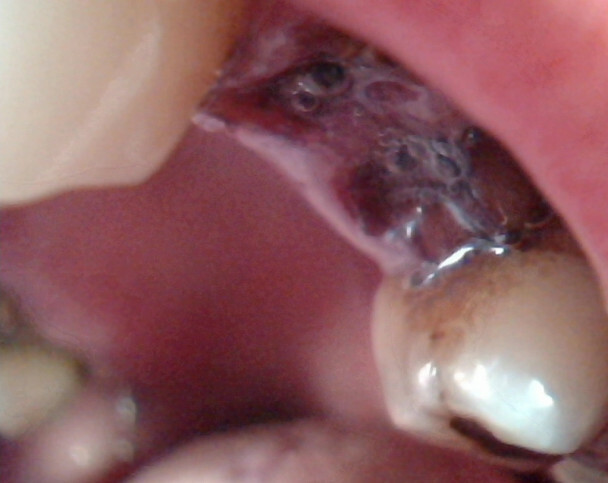 Teeth decay in direct association with chronic oral filament production characteristic of the Morgellons condition. Extracted teeth that show serious decay in direct association with chronic oral filament production characteristic of the Morgellons condition. 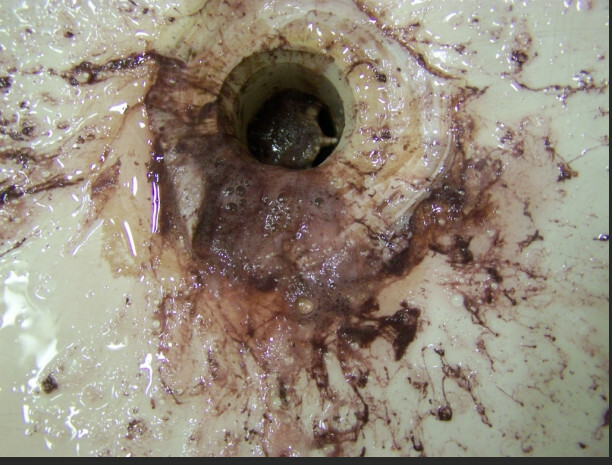 Significant oral filament characteristic of the Morgellons condition (red wine test in porcelain sink). 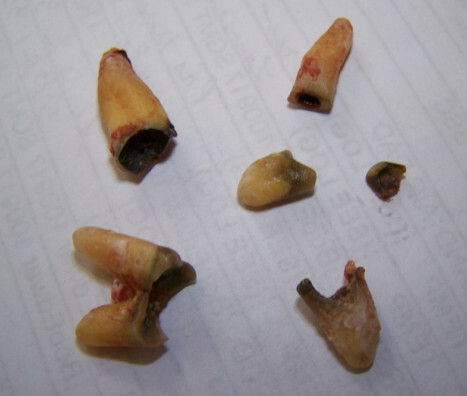 The same individual that produced this sample suffered the dental condition shown to the left. 6. Proliferation of bacteria, fungi, molds, yeast and viruses. 10. Loss of protein production, including collagen and elastin. 16. Impairment of immune function; production of white blood cells is diminished. 1. Loss of calcium and the dissolution of bone. 2. Reduced bone formation, brittle bones, and susceptibility to fracture. 3. The loss of additional critical mineral stores, including magnesium and potassium. 4. Depressed protein metabolism, with corresponding decreases in muscle mass and cellular repair. 5. Irritation of the urinary tract and bladder. 6. Suppression of growth hormones. 8. Increased production of free radicals and the lowering of immune capacity. 9. Greater oxidation of free radicals and the impairment of antioxidants. 11. Greater risk of kidney stone formation. 12. Decreased efficiency of energy (ATP) production and eventual impaired organ function. 13. Increased fluid retention in the body. 14. Intestinal bacterial disruption and digestive problems. 15. Increased yeast and fungal growth. 16. Greater proliferation of many viruses, including HIV. 18. Decreased capacity to perform exercise. 19. Increased acidity of the mouth, leading to oral bacterial imbalances, dental decay, and periodontal (gum) disease. 21. Lowered ability of the liver to detoxify the body. How much repetition from creditable sources is required before we must accept the obvious and the evident? Does the refrain sound familiar at this point? It is not difficult to conclude that chronic acidosis is quite likely also at the heart of the Morgellons condition. Here we see our familiar benzene aromatic structure on the left combined with the carboxyl functional group (COOH) on the right side. This particular example therefore leads to benzoic acid. 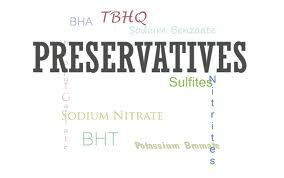 Benzoic acid is also one of the most common preservatives used in food, and according to Dr. 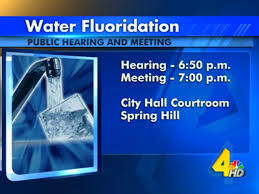 Prior, this can lead to serious dental and demineralization issues within the body41. We are in a fair enough position to list the expected health effects of excessive acidity in the body; a primary culprit for this condition is an excess of carboxylic acids . Associations between oxygen deprivation, glycolysis, anaerobic respiration, cancer, energy production(ATP) and intracellular acidity42,43. One of the primary characteristics of the phenol group is that it also is acidic, although not usually so much as the carboxylic acids are44. 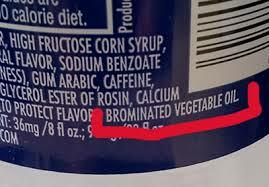 It is also known as carbolic acid. Some phenols, although rarely, are more acidic that carboxylic acids. The term phenol is used as the name for the specific functional group as well as being applied to a class of compounds. We have already discussed the role of acidity so that will not be repeated here; it does suggest, however, that the problem is expected to be compounded further with the existence of phenols and the health risks may be justifiably repeated. The structures of phenols are diverse, so it is difficult to generalize on their health effects as they are likely to very widely. Phenols occur naturally and they are synthesized. Phenol in its pure form is a strong neurotoxin and can lead to instant death by shutting down the neural transmission system. Phenols also occur in natural substances, such as flavonoids, coal tar, creosote, anthocyanins, salicyclic acid (precursor to aspirin) and tryosine (an amino acid, presented earlier). 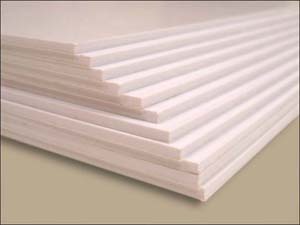 They are also synthesized into such products as adhesives, antiseptics and food additives. They also occur in many neurotransmitters, such as seratonin, dopamine and adrenaline. We see, therefore, that we have a wide variety of considerations and possibilities with respect to potential heath effects; of these, acidity has been duly noted. “It has long been a mystery as to why there is such a definite and visible reaction, especially of color, between the oral filament samples and red wine or related solutions. This mystery has now been resolved with a combination of investigative chemical research and the knowledge of iron changes in the body. The reason for the strong reaction is the formation of a metal complex of Fe(3+) in combination with the pigments found in red wine. Once again, at least some knowledge of coordination chemistry in combination with transition metal characteristics proves fruitful. Grapes, red wine and many related fruits or vegetables contain a group of pigments called anthocyanins. A search of the literature will reveal that iron, especially in the ferric state (Fe3+), will form metal complexes with these pigments. The color of many of these metal complexes is often a deep purple, exactly that which is known to occur in the combination of the oral filaments with the red wine. The current work suggests strongly that we are dealing with a polycyclic (i.e., multiple rings) aromatic structure with many possibilities for both aliphatic (chain-like) and aromatic ring combinations. Let’s now look at the structure of anthocyanins in some greater detail. Recall that anthocyanins are dark pigments found in such foods as grapes, red cabbage, red wine, blackberries, cherries and other fruits and vegetables. It was predicted at the onset that the chemistry of the red wine reaction would become important in the understanding at least a portion of the nature of the biological filaments that they so strongly react with. This has shown itself to be true, but it has also taken far too long to achieve this position. With the current knowledge from this report, it is increasingly clear how and why this particular chemistry is so reactive. We appear to have the proper combination of aromatic compounds, phenols, iron and pigments to produce exactly the type of reaction referred to in the inset immediately above. The general structure of an anthocyanin. 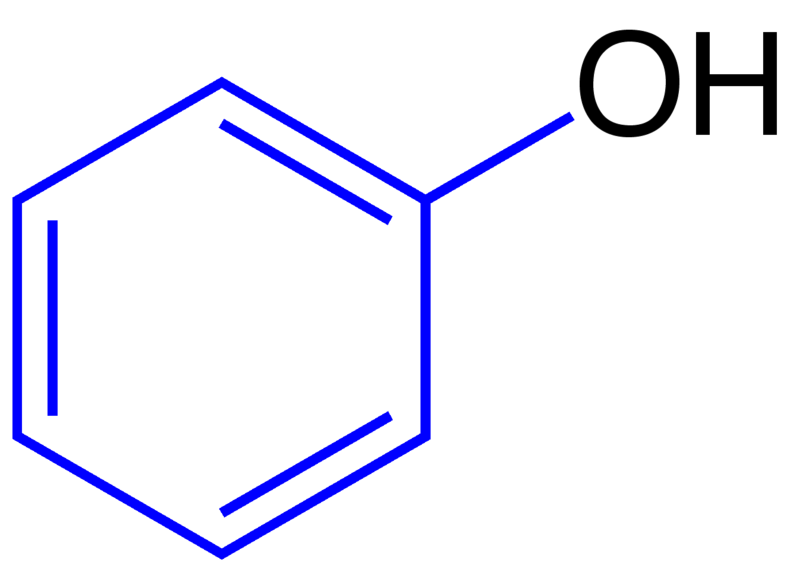 Notice the polycyclic aromatic nature. 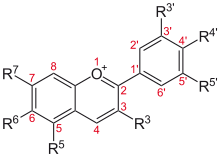 The “R”‘s in this structure symbolize variable molecular structures or functional groups, as exemplified in the table below. 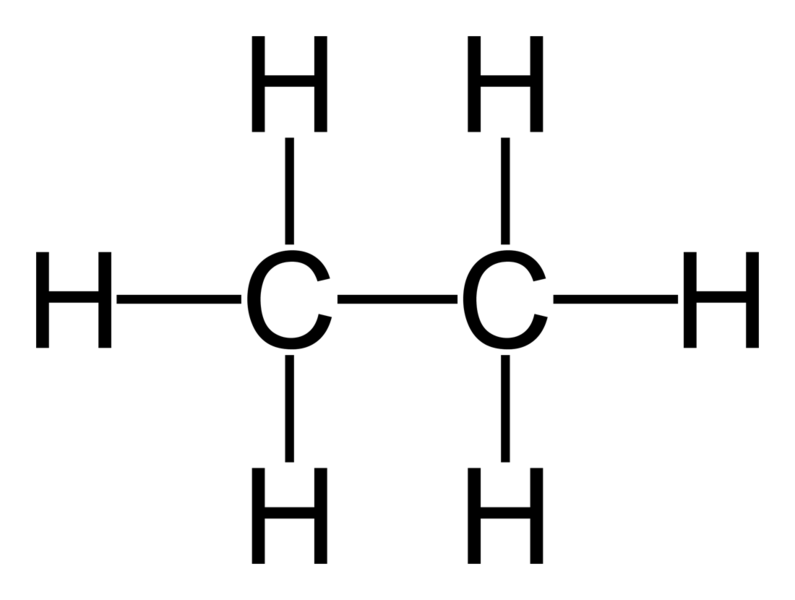 A common example of an R group is the hydroxyl group (OH), which leads us to the phenol structures we are currently discussing. An example of red cabbage pigment variation with respect to acid and alkaline conditions. Red cabbage pigment can therefore be used as an effective pH indicator. 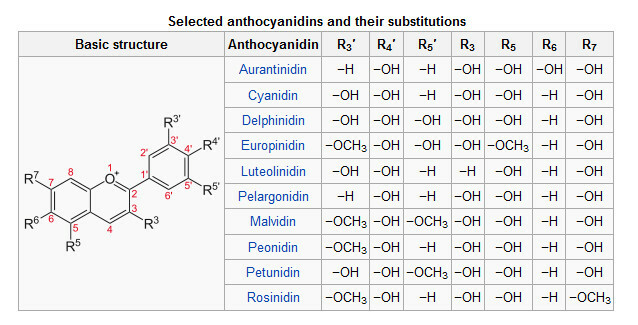 Examples of variable (“R”) groups that can attach to the polycyclic aromatic structure of an anthocyanin are listed in the table above. Notice the repeated presence of the OH group, leading to the phenol structure currently under discussion. The likely similarities in structure (in part) between the biological filaments and the anthocyanin structure are offered as a partial explanation for the high chemical reactivity between the biological filaments and red wines (i.e., the so-called “red wine test”). Incidentally, the OCH3 group (methoxy, not identified in this report) leads to methoxy benzene (or “anisol”) when attached to an aromatic ring, and it is relatively non-toxic. No special further interest in that particular group is inferred at this time. Lastly, also recall the comments previously with respect to the combination of ferric iron (Fe3+) with anthocyanins that lead to the ferrichrome (i.e., bacteria associated) compounds mentioned in the Morgellons : A Thesis Paper. In summary here, we now see very interesting patterns of combinations that likely involve the presence of polycyclic aromatics, amines, iron, phenols, and halogen groupings. These combinations serve to account for many of the projected health impacts of these combinations and well as to explain (in part) the unusual and pronounced reactions of the filaments with the anthocyanin pigments of red wine. A graphic of the activating and deactivating functional groups, from the most activating on the left to the most deactivating on the right. Activators significantly affect the threshold energy required for substitution to take place on the aromatic ring, e.g, by a halogen for example. It is of special and paramount interest that the amine group and the hydroxyl group (two of the strongest candidates of identification within this report) are at the top of this list with respect to activation energy. This means that these same functional groups are extremely likely to be involved in electrophilic aromatic substitution reactions herein. Halogenation of the aromatic ring structure is one of the most likely such reactions to take place in this situation and this fact easily justifies the heightened interest by this researcher in the subjects of thyroid influences and metabolic interference. “The strongest activating and ortho/para-directing substituents are the amino (-NH2) and hydroxyl (-OH) groups…. Bromination of both phenol and aniline is difficult to control, with di- and tri-bromo products forming readily“. What this indicates is that the combination of both of these groups at the proper locations on the aromatic ring can easily lead to even the double and triple presence of the halogen on the ring. This would reasonably expect to present an even stronger source of interference in human metabolism, especially involving thyroid issues. This type of combination must realistically be considered in our current scenario as the three groups required (aromatic, amine and hydroxyl) appear to have been readily identified. 4. “It was, therefore, concluded that any exposure to aniline contributes to a background of methaemoglobin formation. …In addition to methaemoglobin formation, erythrocytes are damaged by reactive metabolites that react with proteins and membranes. Hopefully, after reading the above section, it will not be lost upon the reader that the topics of oxidation, iron detection, oxidation states of iron, amines, toxicity and liver effects, methaemoglobin, proteins, genetic engineering and damaged erythrocytes have been at the core of the research that has now been presented over a period of several years. The advantage of the current work is that a more direct mechanism to explain many of the research results may now be before us, along with others that have been detailed within this paper. One of the reasons for presenting the comparison above is to show the importance of understanding the structure of these crucial biological compounds; we can see that relatively minor changes in a structure can completely change its function within the body. Hopefully, these structures are becoming somewhat familiar to us by now and can start to interpret them with a degree of meaning versus trepidation. We see here that dopamine (a fundamental neurotransmitter of the brain), essentially results by shifting an amine group and removing a carboxyl group from tyrosine (an amino acid). Small changes, big changes in function… We can also see that thyroxine results primarily from introducing a polycyclic (more than one aromatic ring) component into the structure of tyrosine and also brings in the all important element of iodine. We have relatively minor changes but entirely different crucial functions that develop from each. We have already been introduced to dopamine on the left and hopefully we have some appreciation of its importance; dopamine, amongst other functions, plays a role in motor control, motivation, cognition, arousal and reward. Research in the areas of Parkinson’s Disease, schizophrenia, obsessive compulsive disorder, attention deficit hyperactivity disorder, sleep cycles, and drug addiction are also very active, to name just a few. If we can “manage”, once again, the relatively small change of introducing another hydroxyl into the structure, we create a new organic compound called oxidopamine. Under normal circumstances, this will be a synthetic event; “normalcy” is difficult to predict at this stage of circumstance. What, then, are the characteristics of oxidopamine compared to what we have seen for dopamine? This small change we are speaking of, the addition of a hydroxyl group (OH) to the original dopamine structure, creates oxidopamine which is a dopamine inhibitor. While dopamine is known to inhibit the development of Parkinson’s Disease, in contrast, oxidopamine encourages or induces Parkinson’s Disease. One of the main use for oxidopamine in scientific research is to induce Parkinsonism in laboratory animals such as mice, rats and monkeys48. Dopamine is a neurotransmitter necessary for the proper functioning of the brain; oxidopamine is a neurotoxin. Small change, big change in function and consequence. As cognitive abilities are substantially known to be significantly affected under serious cases of the Morgellon’s condition, this type of “variation” in the neurotransmitters of the brain can not seriously dismissed. To the contrary, the research should proceed full force to quickly assess the likely numerous interactions that are presented herein, including those of neurotransmitter modifications. Significant oral filament production; the presence of filament structures (ferric iron – anthocyanin complexes) within oral samples. (red wine test). Akyl halides occur as a free radical reaction, and it is classified as a radical chain reaction process. Alkyl halides are commonly used as flame retardants, fire extinguishants, refrigerants, propellants, solvents, and pharmaceuticals. Many of the halocarbons have also been shown to be serious pollutants and toxins, such as chlorofluorocarbon (freon) which leads to ozone depletion. Methyl bromide (where bromine, a halogen, substitutes for the hydrogen instead of chlorine, for example) is an example of a fumigant that has become controversial in its use. 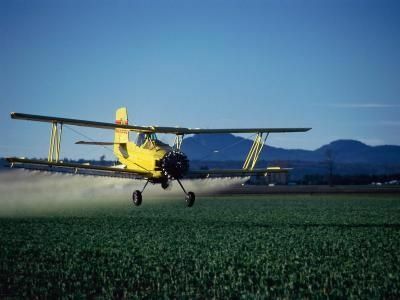 The use of haloalkanes has largely been curtailed because of their environmental effects and toxicity. Many alkyl halides occur naturally, but many of them are also produced synthetically. The synthetic production usually involves the use of enzymes, bacteria, fungi or microalgae. The most common form of haloalkanes is that of the bromoalkanes, involving the combination of bromine (a halogen) and alkanes. The above factors as well as the identification of this functional group should heighten our interest and concern for the existence of halogenated organics in the body, especially as they apparently occur in combination with the Morgellons condition. 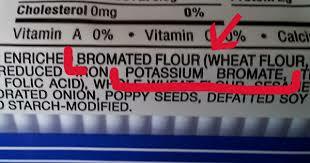 Let us examine some of the expected health impacts from this functional group. In the Hazardous Material Chemistry for Emergency Responders handbook49, the alkyl halides are listed as a primary family of toxins (along with amines, incidentally). The halogens as a group are toxic, with toxicity increasing as the element becomes lighter (e.g., bromine, chlorine, fluorine); iodine is unique as it has an important role in the human biochemistry but can still be toxic in sufficient amounts. We have also examined in some detail the impact of the halogens with respect to the thyroid and the seriousness of that issue. Alkyl halides are also an important precursor in the synthesis of organo-metallic compounds, another of the important classes of compounds that are presented within this report. Haloalkenes are especially toxic to the liver50, and can lead to fatty tissue degeneration, interference in the metabolism of fats, lipid peroxidation, fibrosis and cancer. Inhibition of protein synthesis, necrosis (cellular death due to lack of enzymatic activity), oxygen interference and free radical formation are also stated as damaging factors. Haloalkenes can be toxic by inducing oxidative stress and the creation of intermediate free radicals51. Alkyl halides also react readily with the alkali metals and to a lesser extent the alkali earth metals (lithium, sodium, potassium, magnesium, calcium, etc.) to form organometallic compounds52. From the ILO Encyclopedia of Occupational Health and Safety, we can easily see that the internal effects of halogens upon health include detrimental impact upon the respiratory system, liver and kidneys53. It is now time to summarize and combine much of what has been learned thus far. A composite table will be formed, with the functional groups on the left side and the potential health impacts on the right side. Two changes will separate this table from those above : first, all functional groups and identified components will be combined into a single listing on the left side. Second, on the right side, redundancies in the potential health impacts will be eliminated. The objective here will be to present all potential health impacts in combination with all functional groups examined. In an ideal situation, the majority of the potential health impacts will be, at least in part, accountable to the presence of the specific functional groups that have been identified. This will provide some simplification, order and structure to the vast array of information that has been presented within this research report thus far. It is apparent at this point that the majority of the reported symptoms of the Morgellons condition appear, in part, to be accounted for by the presence of the dominant functional groups that have been described in this report. This confirms the hypothesis that this specific combination of functional groups and identified components remains worthy of additional investigation as to their presence in correlation with expected health impacts. The results also appear to validate the strategies of investigation that have been presented here, i.e., infrared spectrophotometry, functional group identification and analysis, and a study of the expected and potential health impacts from these specific functional groups. There is another important line of research that is appropriate at this time, and this is the comparison of the spectrum attained here with any known reference sources. One of the main difficulties before us is that there is no known absolute reference spectrum which exists to compare to in this case. Any attempts or requests for such identifications and comparisons over a period of many years have yielded no such returns that I am aware of. Representative of this problem is the failure of the U.S. Environmental Protection Agency to examine a similar filament structure (as has been extensively reported upon within this site) on behalf of the public interest. Had such work been completed with accuracy and full disclosure we would likely be much further along with the environmental and health problems that remain with us. This lack is the very reason this work has been embarked upon with no presumptions of structure being made; it is a tedious process to systematically examine an compound for specific functional groups as I think is now apparent to all. Modern infrared spectrophotometers have reasonably comprehensive databases built into the instruments to afford some comparison, but this still may be of limited value with the research of an original and unknown compound. The current instrument under use has no such modern features, and all such work must be done essentially in a manual fashion – this is both tedious, difficult and time consuming. The availability of a modern IR spectrophotometer would undoubtedly ease and accelerate this process. We are compelled to ask, therefore, what reference databases, if any, exist for the public to access and compare to. The problem has not been an easy one to solve. Nevertheless, significant progress with the need has been achieved. One of the more remarkable infrared spectral analysis databases that exist with public access exists in Japan, entitled the Spectral Database for Organic Compounds (SDBS), published by the National Institute of Advanced Industrial Science and Technology (AIST), Japan54. Roughly 30,000 organic compounds (with IR spectra) appear to exist within this database and this represents, without question, a sizeable library of benefit. No such comparable databases (i.e., without cost) have been identified within the U.S. public sources, or elsewhere within the world, for that matter. The database is a marvelous asset for public research and much gratitude is extended for its availability. The results of a comparison search are highly intriguing. We do not expect to have a single and absolute match to any known or specific compound for a myriad of reasons. Sensitivity (or lack thereof) of the current instrument is one reason alone, let alone that of any inaccuracies or error in the work that might exist. What is expected to be of value is any similarity of structure that might exist (at a functional group level) between that which is proposed within this paper and that which resides within the database. The number of candidates that match closely within the search is also a point of interest. In the search that has been performed a most interesting result has, nevertheless, occurred and it is shown below as a basis for comparison. The compound below appears to represent the best match in this effort thus far, and the method used involves a comparison of all major spectral absorption peaks found in the current spectrum with those of the database. There may well be other compounds that will prove to be of interest in the future, but this one does represent a very suitable starting point for examination. Our goal here is to look for any similarity in functional groups and structure in comparison to those identified within the biological filament sample. We are looking for broad and general overlaps at this stage and not necessarily any specifics of finite structure. We will also examine this same database compound for any anticipated or likely health impacts that may be similar to those that have been examined above. There are several interesting observations that can be made from this compound that has been searched upon based upon the spectrum that has been observed directly and reported on here. First, we can see that several of the very same functional groups that have been identified in the current research exist in this same compound. Specifically, we see that we have an aromatic group, an aliphatic group, the phenol group, the amine group and a halogen showing up in this compound; these are some of the exact groups that are predicted from the analysis. These functional groups are at the very heart of the identification process that has been used in this report. They are functional groups of great significance and they have been discussed at length in this paper, along with the potential health impacts that are likely to occur with their existence. We have also already established important ties and relationships between tyrosine (an amino acid) and dopamine, a neurotransmitter. We have also discussed the damaging impacts expected from oxidopamine or related compounds, especially in relation to neural functioning. We have also discussed the importance of the existence of halogens, both in relation to thyroid interference as well as their general toxicity. It is fair to say that the research that precedes this particular search in the SDBS database appears to be in good order and should serve as a strong pathway toward future investigation and knowledge to be acquired. Lastly, before finishing up this important examination of potential health impacts, we can also look at the specific health impacts expected from this specific compound that has been queried from the SDBS database. We find, as is expected, that this particular compound depletes dopamine and brain amine levels and that it can cause significant neurological damage55. The previous discussion on Parkinson’s Disease does remain relevant here. We also find strong reference to memory loss and cognitive dysfunction in the presence of depleted dopamine levels56. It would appear that this compound class and related compounds are worthy of further investigation by the medical and health communities in relation to the reported symptoms of the Morgellons condition. 1. Infrared Absorption Spectroscopy – Practical, Koji Nakanishi, Holden-Day, Inc., 1962. 2. Reprint of Colthrup Chart of Characteristic Group Absorptions in Modern Methods of Chemical Analysis, Robert L. Pecsok, John Wiley & Sons, 1976. 4. Spectral Database for Organic Compounds (SDBS), National Association of Advanced Industrial Science and Technology (AIST), Japan. 5. Biochemistry, John T. Moore, Wiley Publishing, 2008. 6. Organic Chemistry, John McMurry, Brooks/Cole, 2004. 8. Oxford Dictionary of Science, Oxford University Press, 1999. 9. Organic Chemistry, Bruce A. Hathaway, Ph.D., Barron’s, 2006. 10. Biochemistry, John T. Moore, Wiley Publishing, 2008. 11. Chemistry, The Central Science, Theodore L. Brown, Pearson Prentice-Hall, 2006. 19. Principles of Biochemistry, H. Robert Horton, Prentice Hall, 1993. 29. Morgellons : A Thesis, Clifford E Carnicom, Oct 2011, www.carnicominstitute.org. 30. Morgellons Research Project : Scientific Study of the Morgellons Condition, Carnicom Institute. 32. Iron Deficiency, Wikipedia, wikipedia.org. 34. Amino Acid Chart, Dr. 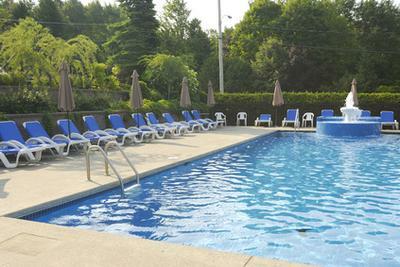 Guy Wilson, www.1choicevitamins.com. 36. Principles of Biochemistry, Albert L. Lehninger, Worth Publishers, 1982. 37. ATSDR – Medical Management Guidelines : aniline, U.S. Department of Health and Human Services, CDC. 40b. The Acid Alkaline Food Guide, Dr. Susan E. Brown, Square One Publishers, 2006. 42. Robbins Pathological Basis of Disease, Ramzi S. Cotran, M.D., W.B. Saunders Company, 4th Edition, 1989. 43. Biochemistry Demystified, Sharon Walker, Ph.D., McGraw Hill, 2008. 49. Hazardous Materials Chemistry for Emergency Responders, Second Edition, Robert Burke, CRC Press, 2003. 50. Hepatotoxicity and mechanism of action of haloalkanes: carbon tetrachloride as a toxicological model., BioInfoBank Library, Critical Reviews in Toxicology, Nov 29, 2012. 51. Mechanism of Anesthetic Toxicity: Metabolism, Reactive Oxygen Species, Oxidative Stress, and Electron Transfer, ISRN Anesthesiology Volume 2011. 52. Organometallic Compounds, Michigan State University, Department of Chemistry, msu.edu. 55. Effect of 6-hydroxydopamine on brain norepinephrine and dopamine: Evidence for selective degeneration of catecholamine neurons, George R. Breese, National Institutes of Health. 56. Desipramine attenuates working memory impairments induced by partial loss of catecholamines in the rat medial prefrontal cortex, SM Clinton, National Institutes of Health. 59. 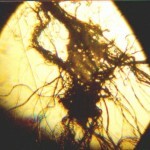 Morgellons : In the Laboratory, Clifford E Carnicom, May 2011, www.carnicominstitute.org. 64.The role of vitamin C in iron absorption, L. Hallberg, National Institutes of Health. 65. Ibid, Morgellons, The Breaking of Bonds and the Reduction of Iron, Carnicom. 67. Ibid., Amino Acids Verified, Carnicom. 68. N-acetylcysteine (NAC), David Wheldon. 72. Ibid., A Discovery and A Proposal, Clifford E Carnicom, Feb. 2010, www.carnicominstitute.org. 74. Ibid., A Discovery and A Proposal, Carnicom. 75. Free radicals, antioxidants, and human disease curiosity, cause, or consequence?, Barry Halliwell, Lancet, Sept 10, 1994 v344 n8924 p721(4), published at auraresearch.com. 77. Oxidative Stress and Neurodegenerative Diseases: A Review of Upstream and Downstream Antioxidant Therapeutic Options, Current Neuropharmacology, Mar. 2009, Bayani Utara, National Institutes of Health. 78. Free Radicals, Oxidative Stress, and Diseases, Enrique Cadenas, MD PhD, Professor of Pharmacology, University of Southern California. 79. Alcohol, Oxidative Stress and Free Radical Damage, Defeng Wu, PhD, Alcohol Research & Health, National Institues of Health. 86. Magnetic Liquid Oxygen, University of Illionois, Chemistry Department. 92. Free Radicals and Reactive Oxygen, Colorado State University, Biomedical Hypertexts. 93. Ibid., Colorado State University. 94. Ibid., Morgellons, The Breaking of Bonds and the Reduction of Iron, Carnicom. 95. Morgellon’s : The Role of Atmospheric Aerosolized Biological Nano-Particulates, An Anonymous Physician. 96. Ibid., Morgellons, The Breaking of Bonds and the Reduction of Iron, Carnicom. 101. Acid Base Balance in Critical Care Medicine, Patrick J Neligan, Clifford S Deutschman, Patrick Neligan Deparment of Anesthesia, Univ. of Pennsylvania, 2005. 102. Acid-Base Tutorial, Dr. Alan Ggrogono, Tulane University Department of Anesthesiology, www.acid-base.com. 103. Ibid., A Discovery and A Proposal, Carnicom, Feb. 2010. 104. Morgellons : Growth Inhibition Confirmed, Clifford E Carnicom, Mar 2010, www.carnicominstitute.org. 106. 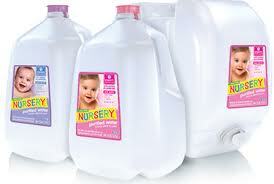 Alkaline Water and Why Avoid It, Lawrence Wilson, MD, Center for Development, Inc., www.drwilson.com. 107. Sugars and dental caries, Riva Touger, The American Journal of Clinical Nutrition. 109. In Office Lab Testing : Functional Terrain Analysis, Dr. Dicken Weatherby, www.bloodchemistryanalysis.com. 110. Dr. Henry G. Bieler, Wikipedia. 110b. Complete Practitioner’s Guide to Take-Home Testing : Tools for Gathering More Valuable Patient Data, Dr. Dicken Weatherby, www.bloodchemistryanalysis.com. 113. Metabolic Temperature Graph, Bruce Rind M.D., www.drrind.com. 116. Thyroid Balance, Dr. Glenn Rothfeld, MD, Amaranth, 2003. 117. How Adrenals Can Wreak Havoc, www.stopthethyroidmadness.com. 122. Toxicity Profile, Polyvinylpyrrolidone, legacy.library.ucsf.edu. 126. Oxidative stress and neurological disorders in relation to blood lead levels in children, M Ahamed, National Institutes of Health. 127. Naton Gadoth, Oxidative Stress and Free Radical Damage in Neurology, Springer, 2011. 128. Oxidative Stress in Neurodegeneration, Varsha Shukla, Hindawi Publishing Corporation, 2011. 129. Katlid Rahman, Studies on free radicals, antioxidants, and co-factors, National Institutes of Health. 130. Bryce Wylde, The Dopamine Diet, www.doctoroz.com. 132.James A. Joseph, Nutrition and Brain Function, U.S. Department of Agriculture. 133. 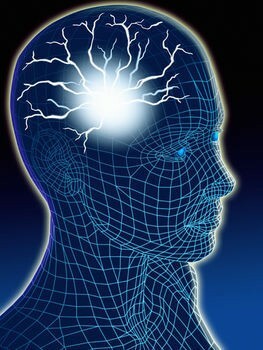 Enhancing Memory and Mental Functioning , NYU Langone Medical Center, www.med.nyu.edu.